Martin Yale 1616 Desktop Letter Opener - Roberts Business Machines, Inc. 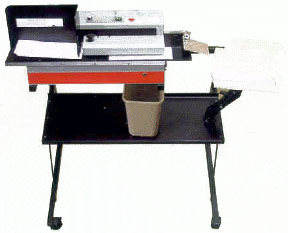 The Martin Yale 1616 automatically opens envelopes when inserted for easy one handed operation. Features include fully enclosed blades, low noise and non-skid rubber feet.